If your program is in need of customization, you’ve come to the right place. 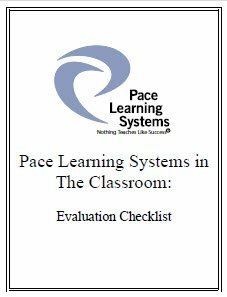 Pace Learning Systems is all about personalized learning and designing systems that make each and every one of your students successful. In all of our programs, we use multiple assessment processes to ensure we meet your student where they are. This is important in making sure they start feeling successful from their very first class with you. We recognize that teaching correctional education and adult literacy requires very special skills. With years of research and experience in a wide variety of education settings, we know this student population well, and we are able to work with you in designing a solution that will meet your needs.